Jess Kostos is a Women's Health Physiotherapist and is also a keen advocate for women's well-being. She graduated with Honours from The University of Melbourne in Australia. Since then, she has completed her Post Graduate Certificate in Pelvic Floor Physiotherapy. Jess has a particular interest in treating prenatal and postnatal women and would consider herself an expert in anything pelvic-related. She regularly sees patients with pelvic organ prolapse, diastasis recti and urinary incontinence. Jess has gained extensive experience working in both the public and private sectors. In Australia she worked in a large community hospital as part of a multi-disciplinary maternity team, both on the ward and in the outpatient department. She has also worked in multiple private practices specialising in women's and men's pelvic health, musculoskeletal and sporting injuries. 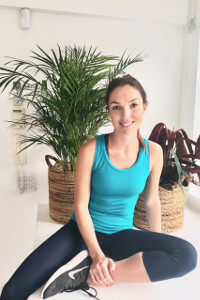 Jess currently works at a private practice in Wimbledon and regularly presents talks to pregnant and postnatal women on the pelvic floor in collaboration with the NCT. She also presents the Australian Physiotherapy and Pilates Institute Ante and Postnatal Pilates course to health professionals throughout the UK. Jess's experience and training in musculoskeletal, pelvic floor and obstetric physiotherapy is unique and allows for a more holistic approach to each individual. She is passionate about helping women of all ages achieve their optimal physical health and well-being. Jess is a physiotherapist on the Yoga Mama Pregnancy Yoga Teacher Training programme.